aMany theories have been developed about what really supports life. 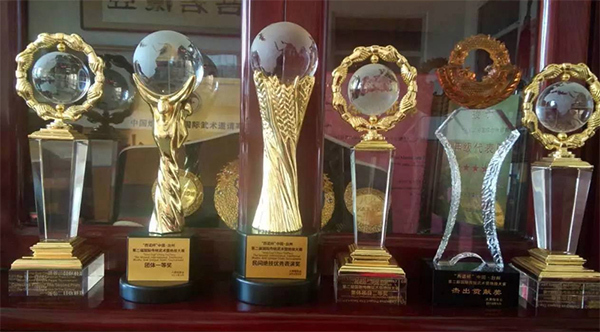 But the Chinese traditional culture stresses that it is the major type of “Qi”, “YuanQi”, where everything stems from. It is the vital foundation for human physical and mental transformation. Chinese medicine teaches that the essence of Chi is emphasized by the vital role it plays in defending against diseases. If people commit to exercising Chi, they can enhance YuanQi and perfect the functionality of blood dissemination system.. 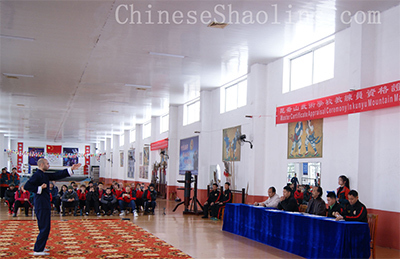 The Chi kung we teach here (Jin Gang Li Gong, traditional internal kung fu training) is intangible cultural heritage protected by Chinese Sports government. Qi Gong is not conceived in isolation as it encompasses the natural aspect of life. One has to be in control of one's mind by ensuring it is at a peace, making one's body comfortable and taking control of your breathing. Regular practice results into a healthier body and recognition of its ability and the inner energy one's possesses. 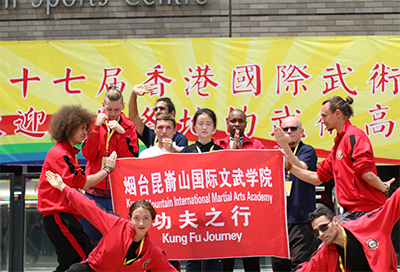 The importance of Chinese contemporary culture of merging Qi Gong, their medicine and Martial Arts has been recognized in modern science and appreciated worldwide.Masters here also teach students healing Chi kung that will be very helpful for health. 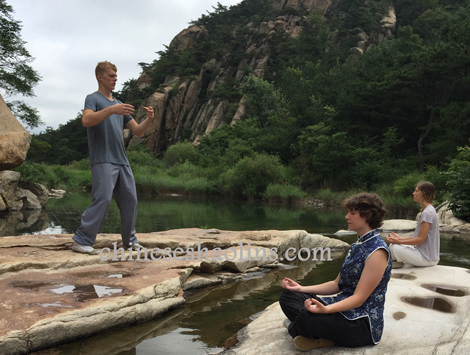 Students training Chi kung and cultivate Chi energy in Kunyu mountain. The origin of QiGong can be traced back to the ancient history of Chinese and has evolved to the current famous sects namely; Yi, Ru, Tao, Buddha and Wu. The four sects have a common goal of achieving morality, good health and gaining self-control.Yi sect emphasizes on living longer by establishing healthy habits. Buddha sect encourages self-control and being conscious of one’s actions in life.Wu sect focuses on enhancing the knowledge, skills and acceptance of Martial Arts.In the Dynasty song, DaMaZhusi initiated the Shaolin QiGong which is the treasure of historical Chinese Qi Gong. It is a kind of meditation that blends Buddhism and Taoism to recognize and develop one's energy in life. 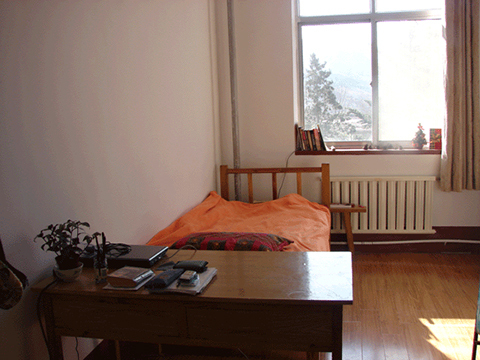 The development of the inner Gongfu has resulted into appreciating the impact of the sun and moon. Headmaster doing meditation in Shaolin temple. Through progressive learning masters of this Art nowadays arouse their inner dormant power. This may result into Qi wittingly mixed with hardness and softness. Having control over your mind can help direct Qi to strengthen any body part for defense against physical and disease attacks. This form of Gongfu can enhance your character and body accomplishing the purpose of Buddhism. 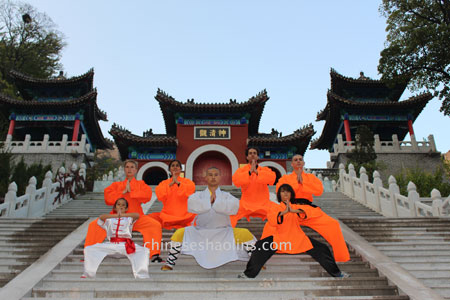 Qi of Shaolin Chi kung is simply an innate comprehensive force that can be released abruptly and obliviously. 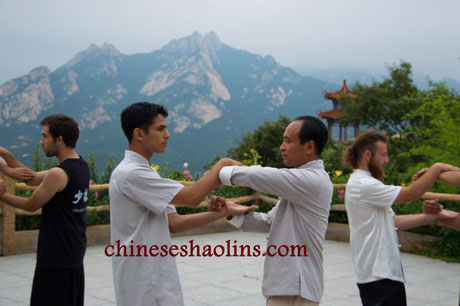 Internal Martial Arts of Shaolin relate to Qigong while External ones concern fighting bare knuckles and using accepted weapons. Advancing in Qigong involves controlling movement of Qi and blood while staying quiet, standing or sitting still or lying motionless. Wholesome practice of Qigong can result in experiencing Qi through numb, warm or hot hands by the third day. After a period of 3 to 6 months, you can fully control Qi and form Dan Tian using the stomach. 1.Regulating your breathing coordinating it with the body. 2.Concentrate on your mind removing distracting thoughts. 3.Keep your body coordinated naturally. 1.“Open the Bow, aim and set off the Arrow” – to drive the internal energy to the furthest limit. 2.“With open palms, holding to the Earth and Heaven” – to adjust the balance of the internal energy. 4.“Turn back left and right” – it relaxes the body and eases any tension. 5.“Twist the back and Turn the Head sideways, back and front” – helps to ease muscle tension and relieve the stress. 6.“Hold the ankles with both hands” – it strengthens the internal organs. 8.“Expose and release yourself to the Heavenly Gate” – helps in balancing internal energy in the body. 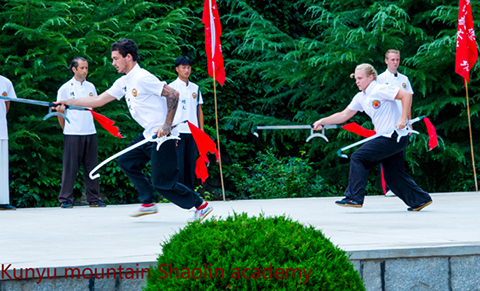 The Kunyu Mountain Shaolin kung fu school is proud to teach this important ancient discipline as well as many other martial arts styles.